Applying knowledge creatively is a great way to engage students, as it gives them the opportunity to grapple with real-world problems and have fun doing so. 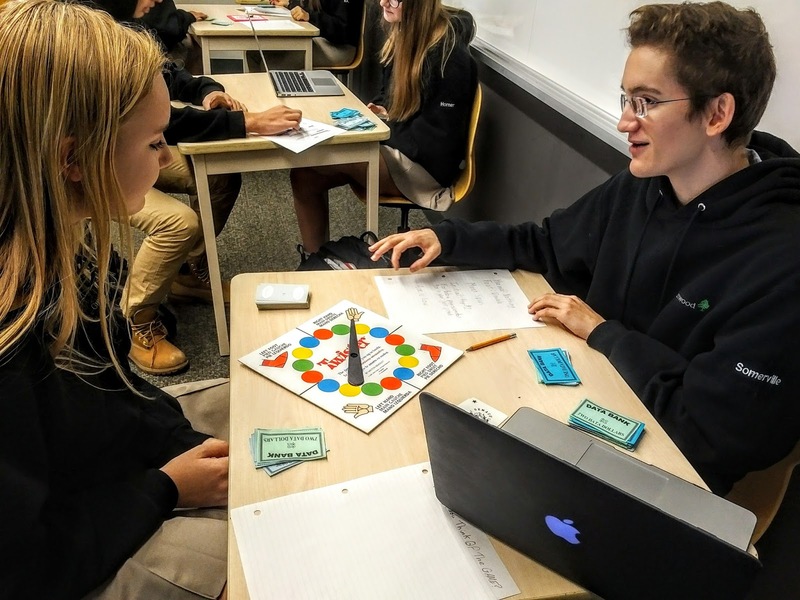 Students in our Grade 12 Data Management program have been learning about the concept of expected value through real-life examples taken from games, insurance and sports. To demonstrate understanding of this concept, students had to create a unique probability game that profited within a certain range, as determined by the cost per game to the player. The culminating activity for this study was a “casino day” where the students played one another’s games using “data dollars.” While playing the games they collected experimental data to compare their theoretical probability distributions and expected value. Students then used this date to write a report that analysed the profitability of their game. 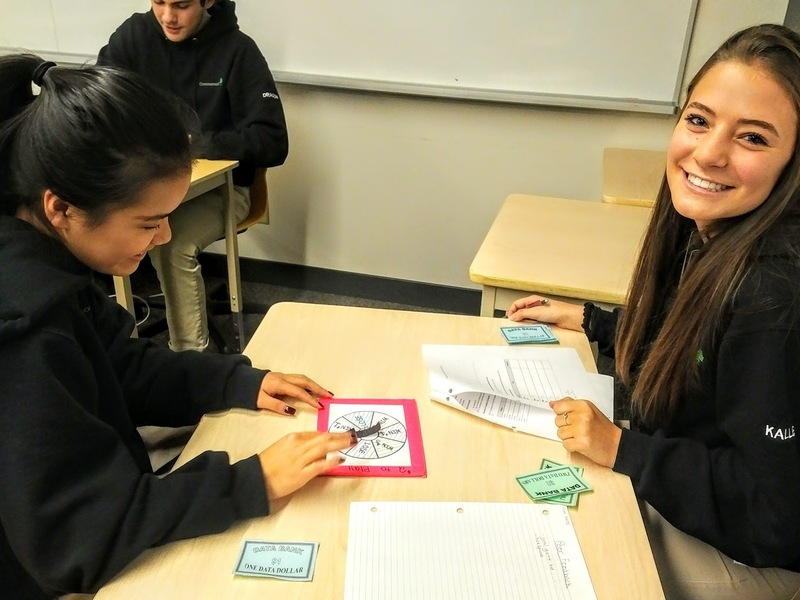 Besides honing their understanding of probability, students also had the opportunity to learn from their peers. They might also be better prepared for that next game of Blackjack! Now that the school year is in full swing, science classes in all grades have had an opportunity to try out our new Vernier probes and LabQuest 2 devices in their science classes. 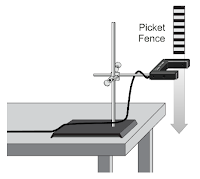 The Grade 11 physics classes used the Picket Fence (pictured at left) and photogates to measure acceleration due to gravity. Many of the students were really impressed by the simplicity and accuracy of the equipment. Small groups worked together to collect several sets of data, which were then downloaded to each student’s computer for analysis. Once uploaded, the data will automatically save on each student’s computer, giving them the opportunity to work through the analysis at their own pace. The graphs that were generated were easy to understand and manipulate, giving more time for students to analyze and discuss their results. This lab activity allows for the students to investigate why and how objects accelerate towards the earth due to gravity, and gives many opportunities for related extension activities. Each year, Grade 10 Science students have the opportunity to explore a topic of particular interest to them that relates to climate change. Their task is to design their own research project and apply what they have learned to a new situation. With this open-ended project template, we are able to personalize learning and help students discover areas of scientific interest, while guiding their exploration of such topics. The opportunities for discovery are limitless. 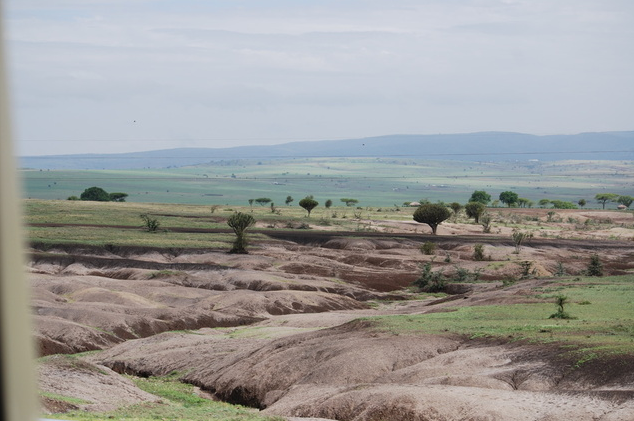 One student chose to extensively study the effects of global warming on the country of Tanzania, which has been severely affected by extreme droughts and floods. 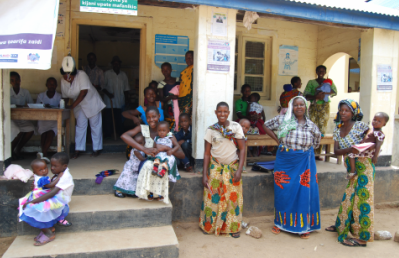 The student had the opportunity to then travel to Tanzania, where she could witness these issues firsthand and speak with the people who are being affected. Through photography, she documented dried-up river beds, as well as animals and locals suffering from food and water scarcity. The significance of these experiences was evident. In her own words, "In Tanzania, I was able to apply my knowledge and get an incredible chance to learn how [climate change] is affecting these people...From this experience, I will rethink many of the things that I do at home that contribute to global warming because I can appreciate who is facing the consequences." Depending on individual strengths and interests, some students were encouraged to design, conduct and analyze experiments to support a particular hypothesis related to climate change. Through controlled experimentation, one student analyzed the effects of deforestation on atmospheric temperatures. She found that environments exposed to high levels of greenhouse gases remained cooler in the presence of vegetation, thus illustrating the role that plants play in regulating climate change. Another student investigated the effects of carbon dioxide on rising sea levels. She designed a laboratory procedure to effectively demonstrate that atmospheres rich in carbon dioxide are able to rapidly melt ice, thereby contributing to rising sea levels. In the end, students were able to explore topics of interest while developing scientific reasoning and research skills. The project concluded in a Climate Change Fair, during which the Grade 10 students showcased their topics and findings. The concept of personalized learning is likely most applicable to the visual arts when students are taught to see better, to envision, to persist, to be playful and learn from mistakes, and to make and justify critical judgments. Art teacher Colleen Petch shares how, in the senior visual arts program at Greenwood, students are provided with a tremendous amount of choice and are consistently challenged to problem-solve, persevere, be resilient and to find a personal connection to their work. Recently, in Grade 11 Visual Arts class, students inquired about the correct technical approach to paint an acrylic portrait. My response was, "Well, that depends...on your comfort level with acrylic paint, your level of experience, how you want the viewer to feel about this person, what style of painting you appreciate, if you want to work on blocking the form or defining specific details first, how many tones of one colour you want to use, what your intended final product might look like, etc." Each student requires a different personalized discussion with the teacher and spends time developing an individual plan to approach creative assignments. One-on-one meetings and discussions are common during each period. connect this issue to their personal theme. The students were challenged to find an interesting way to connect the issue and their personal theme visually, which then became the subject matter for a creation in a medium of their choice. An exploration of materials, subject matter, techniques and approaches. "I am proud of the message I represented and how I have portrayed it. My main goal was not just to represent the issue, but to [also] evoke guilt and responsibility for the issue, which I feel I have accomplished." "The one main thing that I have learned is that, once I go deeper into [the] thought [process] of making a more creative piece, I can make it look amazing. I have also learned that I can paint and do very well with issues and pictures that I am passionate about." "I scrapped a piece the day before the final critique and started a new one. This new image captivated my thoughts and with the help of espresso coffee, I painted throughout the night to meet the deadline. Switching my idea was worth it in the end." 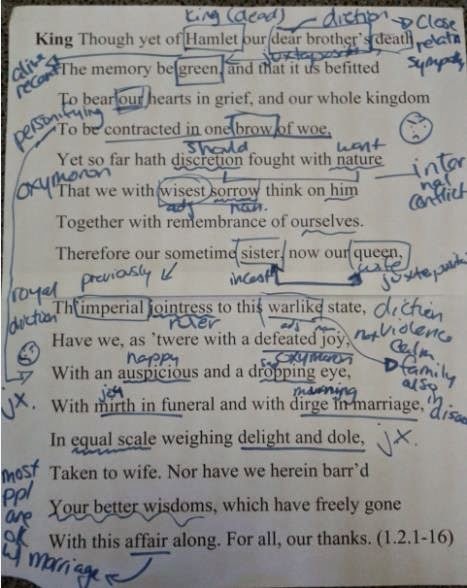 Close text analysis, or close reading of a text, is one of the core skills developed in English classes. It forms the basis for much for the AP English Literature and Composition exam, and requires critical thinking about how texts create meaning, both in terms of structure and content. In Grade 12, we apply this skill to a challenging text: Hamlet. 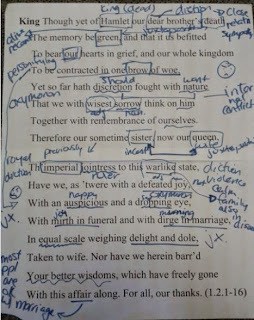 In the regular Grade 12 English course, the focus of close text analysis is a critical reading of the text and how it functions in the play as a whole. Assessments are chunked to help students differentiate between the importance of the information in the scene and the importance of how it is said. For example, how does word choice reveal character? How does a recurring image recall a larger theme? The goal is to be a critical reader, a skill that students can apply in any discipline and later in life. Students in the AP course also hone their critical reading skills but have the increased challenge of deciding how to organize their findings in an essay. This essay is written in class over about thirty minutes, emulating the format of the AP exam. While this task may seem grueling, it enables students to make their own decisions about how to prioritize what they notice in terms of both its importance and how their ideas should be grouped within paragraphs. Students in both classes are taught to notice the same things; the difference is the depth to which students explain what they have noticed. Close text analysis is a great example of how AP courses can increase academic challenge for students. Looking forward to applications to Greenwood's future flexible classrooms, the fact that both skills are taught during the same unit and can be done with the same readings also means that students can choose to challenge themselves with the AP model of the skill even if they are in the regular course. This way, students are given more opportunity for "challenge by choice," as they expand their critical reading skills. Drama and French teacher Emily Hincks explains how an assignment exploring francophone culture in the Toronto helped push students out of their comfort zone while providing an authentic learning experience. Earlier this year in Grade 11 French, we explored the many French-speaking countries and cultures around the world. In this unit, students were asked to find francophone culture in Toronto, participate in a francophone cultural activity in the city, and report back to the class in an oral presentation. As part of their outing, they interviewed a francophone person who was involved in the activity and took photos or a video of their experience. Some of these excursions involved activities such as interviewing the head chef at a French restaurant, learning about pastry making at an authentic French bakery, and attending a francophone service at a Roman Catholic Church. Grade 11 student Sarah Langill visited the Alliance Française to attend a lecture by French mathematician Cédric Villanin, winner of the prestigious Fields Medal. According to Sarah, "I enjoyed participating in the francophone activity in Toronto. It made me work independently and encouraged my organizational skills. If you were with a group [or on your own], you had to make sure you were free to attend the francophone activity. Also, asking a person who speaks French fluently or is from a francophone country [for an interview] can be intimidating, so it was a good opportunity to venture outside my comfort zone." This project was personalized for students as they had choice in which activity they wanted to explore. Their learning was inquiry-based and authentic, as they connected the course to the city in which they live in a meaningful way. It created challenges, as they had to rely on their French skills outside the classroom and use them in a real-life setting. The depth of conversation that each student had with their interviewee varied based on language level, and students felt compelled to challenge themselves to their full level. When I first assigned this project, the students were a little overwhelmed, asking questions such as "Where can I find French culture in Toronto?" and "Is my French strong enough to participate in a cultural activity in this way?" In the end, the students were pleased with their findings and proud of their accomplishments. It was rewarding for all of us to see how and where francophone culture lives in Toronto. The Grade 11 Regional Geography course is the first of its kind at Greenwood. Fully integrated with the fall outdoor education program, students enrolled in the course complete the first third of their credit while participating in a sea kayaking adventure off the west coast of Vancouver Island, British Columbia. Using kayaks as their vehicles for learning, students explore the historical, cultural, economic and physical geographies of the Kyuquot Sound.What better way to learn about the composition and importance of the estuary environments than by paddling up Clanninick Creek? How better to study the lasting impacts of Canada's residential school system than by visiting the local school to learn about current programs supporting language reclamation? The trip itself provides students with hands-on learning experiences that are enhanced by the passion and local knowledge of the guides at West Coast Expeditions and through interactions with members of the local community. Working from a base camp on Spring Island, students have opportunities to learn about and explore old growth forests, intertidal and estuary environments, past and present First Nations communities and much more. They also research topics of interest using the field library at base camp and teach each other about their findings. Time for reflection is provided at the end of each day. Students use this time to respond to prompts in their field guides, to make notes and to produce sketches of the local environment. Upon returning from Spring Island, students write a test that covers pertinent topics from their field study. They also complete a reflection-based culminating activity that asks them to select and expand on the most important lessons learned on trip (this component is 10 percent of the credit). From there, they switch gears to focus on the final 60 percent of the course, which enables them to expand on their learning from British Columbia. This portion of the course is delivered primarily online and is supported by two thirty-minute meetings each week. By completing a series of self-paced modules, students delve deeper into the four strands introduced on the trip: historical, cultural, economic and physical. Assessment of students' learning takes place in the form of module tests and internet-based assignments. Two to three assignment options are available for each unit, and students select and complete the option that best meets their needs in terms of both content and skill development. As the modules can be completed in any order, weekly meeting times are often spent sharing ideas and points of interest from the different topics of study. The format of the course allows students to self-pace and self-direct through the material. One of the many benefits of this program is that students complete all of their regular assessments (and half of their culminating activity work) prior to the winter holidays. 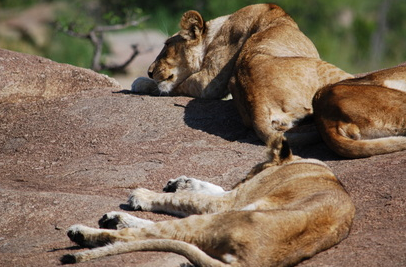 During the month of January, they work toward the completion of a major research project. In this culminating assignment, the students seek to answer a guiding research question of their own creation and present their findings in a manner suited to their research. Project topics and presentation methods are negotiated through a proposal process with the teacher in a manner that reflects geography courses at the postsecondary level. These projects are due in early February, which marks the official end of the course. The regional geography program provides students with a truly experiential learning opportunity in British Columbia, as well as a condensed timeline for course completion that supports self-pacing and interest-based differentiation. The condensed format also supports student learning by providing participants with a spare in their schedule to use for homework completion and group meetings. Once the course ends, that extra time can be used to balance workloads in other courses. With the first year of the program successfully completed, plans are already in motion to expand and refine the process for the 2015-2016 academic year. Each year in Grade 11 Physics, students build a multitude of contraptions, machines and gadgets to allow them to manipulate a real-world application of the theories they are learning. Physics teacher Emma Seaborn explains how these projects add creativity and individuality to the class. Design projects are intended to let the students show their creativity in science and are also a great way to analyze the kinematics, forces or other physical components of machines. At the end of every unit, the class tests out their designs as a group, analyzes the findings, compares results and decides how we might build a better machine, slingshot or instrument. The design project for the winter term was a whole-class Rube Goldberg machine. (Not sure what a Rube Goldberg machine is? Here's a great example.) Personalization is embedded within the project, as every student is responsible for one section of the machine. They can choose to make something simple, like a pattern of dominoes, or extend themselves to make something a bit trickier, like a pulley system. Students must work collaboratively with the entire group to determine the order in which the components will run, and how to piece the machine together. This is an excellent opportunity for leadership within the classroom and students have plenty of space for creativity and individuality within each section. When the whole machine comes together, students are very excited to see it in action, and with any luck, the whole thing runs from start to finish as planned. As a class, we then analyze the energy transfer in the machine and have a discussion about how to improve the design. Students are already looking forward to building their very own instrument for our next design project! Check out this video of one of last year's machines. Science teacher Julie Way explains how the implementation of the Vernier LabQuest 2 technology is providing Greenwood science students with unique opportunities to extend and enrich their learning. toy cars to compare the heat released from different road surfaces. New to the Science Department this year, this interface is a stand-alone tablet that connects to various probes and sensors used to collect and analyze data. 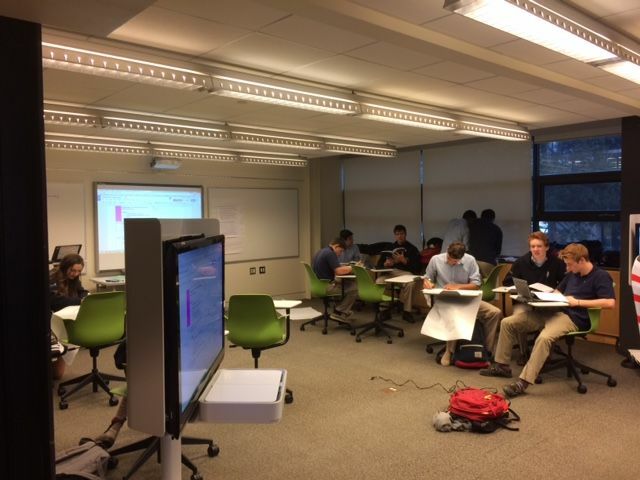 A wireless connection allows students to share their data so that it can be further analyzed on their own personal computers. The use of probeware enables students to deepen their understanding of abstract concepts and allows them to design and carry out experiments in ways not previously possible. The LabQuest 2 has already been used at various grade levels for a wide range of experiments. Earlier this year, while investigating physical and chemical properties, Grade 9 students used temperature probes to explore what happens when water boils and freezes. The heating and cooling curves visible on the display helped students understand that temperature remains constant during a phase change. Our initial exploration of boiling and freezing points led to an extension activity for several students who in turn designed an experiment to explore the effect of salt concentration on the boiling point of water. 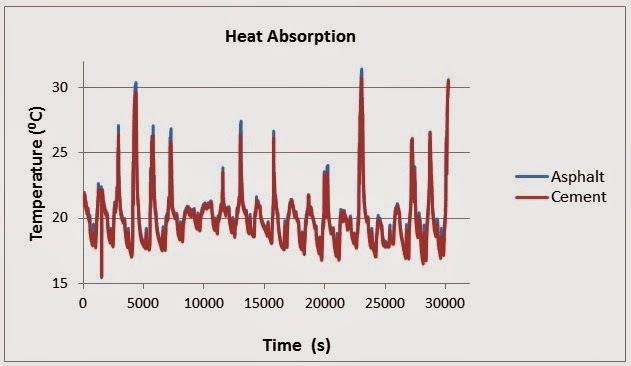 Having sensitive temperature probes and the ability to save and export data allowed the students to fully experience the scientific method at work. The students compared initial trials and continued to modify the experimental design until a suitable plan was established. Even more valuable than coming up with a final conclusion was the process of reviewing the results and critically analyzing their experimental design. 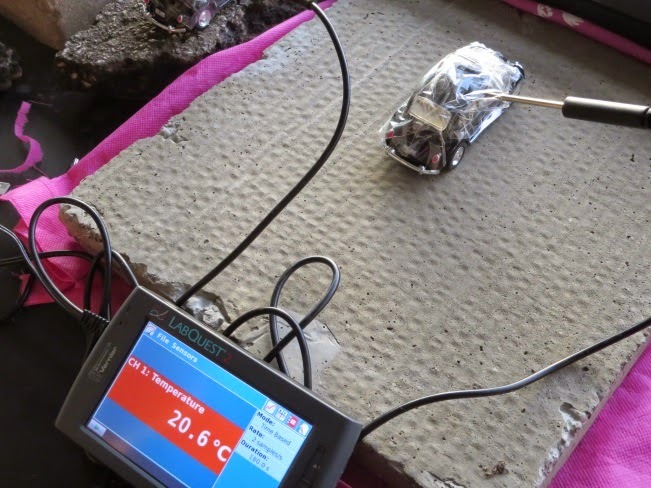 As part of the climate change project in Grade 10 Science, one student chose to use the temperature probes and the LabQuest 2 to compare the amount of heat released from three different road surfaces. Her experiment was left running for the entire winter holiday, set to record the temperature every minute over this period of time; thus, she was able to collect a huge amount of data. A significant variation in the temperatures from the different surfaces was noted. This type of experiment would not be possible without this new technology. The Grade 12 Physics class recently studied gravitational, electric and magnetic fields. Using the Magnetic Field Sensors, the LabQuest 2 and a Slinky, students were able to investigate how the magnetic field varies inside and outside a coil of wire when an electric current passes through it. This investigation also led to an interesting discussion of how the Earth's magnetic field might affect the data being collected. Electromagnetism and magnetic field strength are abstract concepts that can be difficult to grasp, but the ability to accurately measure this invisible field and display it on a graph significantly helps students deepen their understanding. As the Greenwood Science Department continues to explore the diverse range of Vernier applications, it becomes clear that the benefits to student learning and engagement are vast. 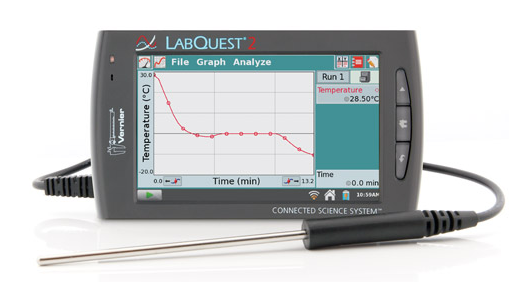 For more information on the LabQuest 2 and the Vernier Connected Science System, click here. French teacher Emma Pickard discusses how authentic interactions can enrich and personalize language learning with an example from her Grade 7-8 Enriched French. 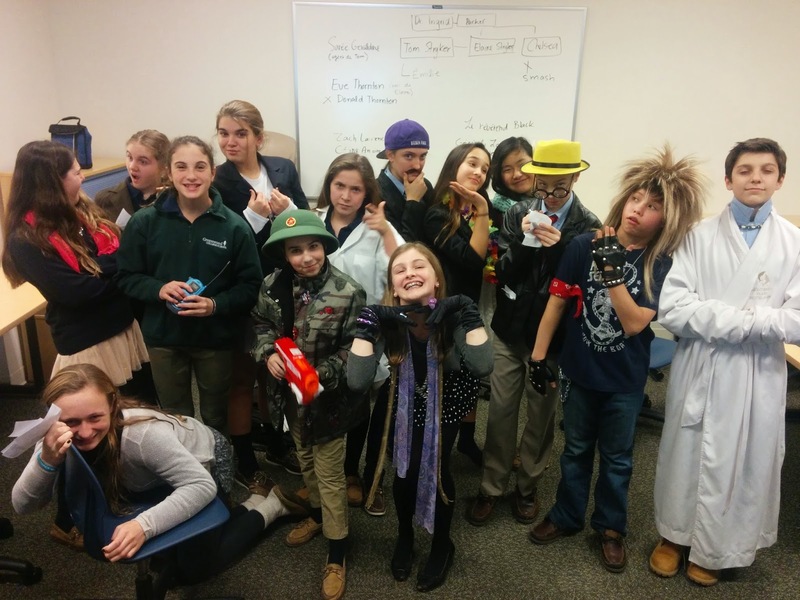 The Grade 7-8 Enriched French class solved a murder mystery! In December, each student was given a specific character with their own secrets, motives and alibis. The assessment involved reading the character notes, writing journal entries expressing their character's thoughts and back story, and listening and speaking to exchange information and solve the mystery. There are many benefits to this kind of experiential assessment. In a classroom situation, it isn't always easy to find authentic tasks for the students to complete. In order for a conversation to be considered "authentic," the two participants must genuinely need to exchange information (as opposed to them already knowing the outcome before they speak). Giving the students a mystery that needs to be solved means that they do not have all the information at the beginning of the activity and they have a vested interest in uncovering clues to find out who committed the crime. An assessment of this type is also easy to personalize, as the teacher can assign individual characters, with more or less information, in order to meet the language needs of each student. For example, a student in need of extension can be given longer and more complicated clues to investigate, requiring them to complete more conversations in the same period of time. As the students were given their character information ahead of time, those in need of support could use references or discuss information with their teacher before the assessment. On Tuesday, December 2, the Grade 12 Exercise Science and Grade 12 Biology classes traveled to the University of Guelph to visit the Human Anatomy and Exercise Physiology laboratories. In the Human Anatomy Laboratory, our students had the privilege to learn human anatomy using body donors. Studying the structures of the human body in this environment is unsurpassed by any other learning tool. Students explored the structures and functions of the muscular-skeletal system, the nervous system, the cardio-respiratory system, and the urinary/reproductive systems. This field trip challenged students academically by teaching them the anatomy of the human body in real form, rather than studying diagrams in a text book. At each station, students investigated and were verbally tested on the anatomical properties of each human system mentioned above. For example, in the urinary/reproductive station, students could observe the location of the kidneys in the human body and how the ureters attach to the bladder. In female specimens, they could also make the connection between the bladder and the uterus and why pregnant women need to urinate often! 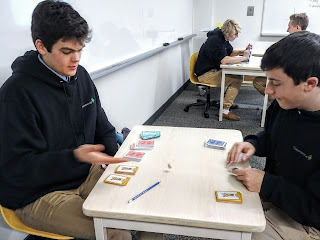 Students made real life connections such as these at each station, which were led by fourth-year Human Kinetics students who created a safe learning environment and gave our students an idea of the academic depth needed at the postsecondary level. The specimens in the Human Anatomy Laboratory have come from people who have graciously donated their bodies for the betterment of science and education and thus granted us an immeasurable privilege. We would like to extend our utmost thanks for this learning opportunity they provided for us. After the Human Anatomy Laboratory, we traveled to the Exercise Physiology Laboratory to learn about three physiology tests: the maximal oxygen uptake (VO2Max) test, the maximal anaerobic power (Wingate) test, and a body composition test. Students had the choice to complete any of these tests, which are normally completed by third-year Human Kinetics students. 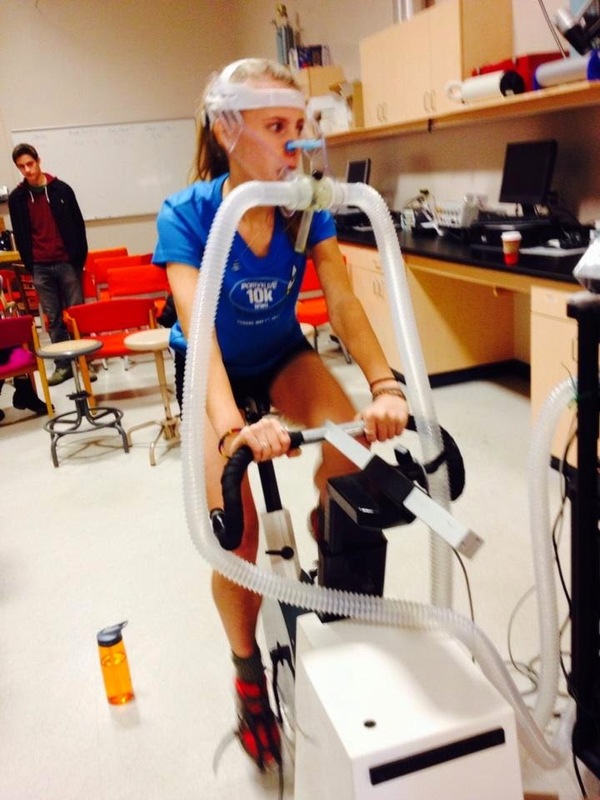 In the VO2Max Test, students ride on a bike while progressively increasing the intensity and measuring ventilation and oxygen and carbon dioxide concentration of the inhaled and exhaled air. VO2Max is reached when oxygen consumption remains at a steady state despite an increase in workload. The Wingate Test is used to measure peak power and anaerobic capacity. These two values are important indicators in sports that require quick, all-out efforts, such as a hockey shift, a football game or the sprints needed in Ultimate Frisbee. These tests challenged students both physically and academically, as they were able to take what they learned in the classroom and apply it to real life situations. Students actively completed at least one of the three tests. Also, the University of Guelph post-graduate students demonstrated the knowledge and interest needed to succeed at the post-graduate level. Learning a second language like French is an area of great vulnerability for some students. Trying to keep track of nouns, verbs, adjectives and other elements of a sentence or idea can be overwhelming, even though those concepts are essential. The risk is that a student can feel lost in the details and lose some of their motivation to persevere. To prevent this potential roadblock, students in Grade 7 and 8 French are enriching their learning and creating a personal connection to the language and culture through song. Songs are not just learning tools for small children; on the contrary, since music plays a major role in the teenage experience, connecting curriculum to music increases student engagement, as well. Here are some reasons why songs are effective enrichment tools. When a new song is introduced, students are asked to listen and try to imitate the pronunciation without seeing lyrics. In order to do so, they need to actively listen and try to distinguish the sounds and words they are hearing. This builds practical skills, because real-life encounters with the French language rarely come with a written script. Long after a teacher's lessons, handouts and drills are forgotten, the songs they use still stick in students' minds. Songs don't teach grammar explicitly, but they are models of correct sentences and vocabulary in a context that the students are much more likely to remember. Grade 7 and 8 students at Greenwood participate in a Grade 9 course titled Information and Communication Technology in Business (informally referred to by staff and students as BTT) which gives them the opportunity to reach ahead and develop skills they will use in their other courses. BTT teacher Sarah Thornton discusses how this personalized, independent course helps students gain valuable skills in communications, technology, planning and organization. Students complete the BTT course independently over two years (with fifty percent of the course completed in Grade 7 and the remaining fifty percent in Grade 8), which is both valuable and challenging. To scaffold this effort, there is a BTT coordinator appointed to the Grade 7 and 8 programs respectively. The coordinator oversees the BTT co-curricular periods that are supervised by each student's Adviser, marks assignments, and tracks and reports individual student credit accumulation to students, Advisers and parents. The personalized support provided by the individual Adviser and the oversight of the coordinator ensure that the students are able to set and meet clear goals so that they can achieve the credit in the most efficient and organized way possible. The enrichment that Greenwood students gain by participating in the BTT course is twofold. Firstly, they are able to demonstrate the mastery over communication technology and online organization necessary to be successful in Greenwood's innovative technological environment. Moreover, participating in the course challenges and further develops students' executive functioning skills, as they are required to take responsibility for their work in a course that exists beyond the walls of their physical classrooms. In this way, their participation in the course encourages perseverance. It teaches them how to implement and execute strategic plans, as they negotiate their way through the personalized assignment options. It provides an opportunity for Advisers and the BTT coordinators to coach the students on how to choose the best and most effective way to navigate an assignment or topic. Finally, the BTT course challenges students to maintain a clear organizational system that allows them to balance the homework and assignments required to complete the BTT course in a timely manner. Grade 7 and 8 students benefit in both the long and short term by participating in a BTT course. This course prepares them to be successful throughout their high school careers, by giving them freedom of choice to personalize their schedules and perform to their best, as well as equipping them with critical technological skills. It also allows them, with the support of their Advisers and the BTT coordinators, to practice and apply executive functioning skills that will allow them to be successful in their current courses and beyond. Opening students' eyes to new experiences and understandings of physical activity, regardless of ability, helps to enrich the physical education experience, according to Greenwood teacher Cara Pennington. The Grade 7 physical education students at Greenwood College School engage in a unique opportunity to explore different areas of physical education. The students take a field trip to Variety Village, a Toronto facility that promotes a variety of physical activities, regardless of your ability. This facility is known for the physical activity programs it provides for individuals with diverse abilities ranging from physical to cognitive restrictions. While at the Village, Greenwood students are exposed to a range of adapted activities, such as sledge hockey, wheelchair basketball and pillow polo, as well as simple adaptations to commonly played games such as dodgeball and obstacle courses. Students not only gain an appreciation for the physical strength required for some of these activities, but they also develop an understanding of the multitude of different ways that people can be physically active regardless of their ability. It is truly an enriching and challenging day for our students as they try out new activities, modify old activities and push their boundaries in a whole new realm of physical activity. Some students are able to step outside of their comfort zone as they learn to run track as a visually impaired student might do, or learn to play basketball without the use of their legs. English teacher Heather Wright explores how students become more engaged in literature when they are able to take an active role in their reading choices. As an English teacher, getting students to not only read, but to enjoy their reading and reflect upon it critically is an ongoing challenge. I have found that in order for students to get the most out of the reading tasks, they need to first be reading the right book - a book that both challenges them academically and also peaks their interest. One of the ways we do this at Greenwood is by offering students choices for reading assignments. How does our cultural identity affect the decisions we make? How do others' perceptions influence how we view ourselves? In what ways do we assess our own worth? In order to increase student engagement, students were offered three choices for their reading. The first choice was Indian Horse by Richard Wagamese, a Canadian novel exploring the history of Aboriginal Canadians and the residential school system. This text, while dealing with very mature themes, tells the story through accessible language, short chapters and a charismatic male protagonist. The second choice offered to students was Camilla Gibb's A Complicated Kindness. This novel, also Canadian, tells the story of a young woman living in a Mennonite community and having to deal with the practice of ex-communication. Though the story also explores the theme of identity, the writing itself is more advanced, making greater use of literary techniques. The final choice offered to students was an enrichment option to read Franz Kafka's Metamorphosis and Arthur Miller's Death of a Salesman, comparing how masculine identity and socioeconomic class are explored in each text. By providing these choices, each student was able to select a text that provided them with an appropriate academic challenge and read a story that held their interest. This resulted in some very impressive final essays and presentations from students in each of the three groups. I have found that encouraging students to take an active role in their reading choices helps them to develop their own reading tastes and practices outside the classroom. This was evident at our recent annual Summer Reading Book Fair. It was great to see so many Greenwood students engaged in selecting the books they wished to read over the holiday and being genuinely excited to push themselves to read new and more challenging texts. Hopefully, this enthusiasm keeps up as each student begins another year of English class this month. Here's to a great year of reading! This week's post comes from Katharine Rogers, English and Geography Teacher. Students in Grade 11 media studies participate in both the analysis and creation of many forms of media. Most recently, they have been working to develop their skills in review writing as a method of analysing television shows, documentaries, and feature films. As a number of the students in the course are interested in pursuing careers in related fields, it is important that the assessment process reflects the reality of the industry. First drafts of written content are rarely published; as such, first drafts of written reviews in this class are not assigned a final grade. Instead, I provide the students with a temporary grade and ample feedback on their work. I then return the reviews to them, and provide them with the opportunity to revise their work up to four times. Students are required to complete at least one revision, but the others – all assessed by me for temporary grades – are optional. Students can track the improvement in their writing in a measurable way between drafts, which gives them ownership over their learning and revision process. During the most recent revision stage, some students focused on the depth of their analysis, while others revisited the structure of written reviews. Feedback was completely personalized, and students were given up to three weeks to complete their revisions. They appreciated the opportunity to self-pace; some finished all revisions within the first week, while others used the full time allotted. In all cases, the students chose to revise their work at least three times. Currently, media studies students are researching influential film directors, and will soon be asked to analyse and review a selection of their feature films. Students will have the opportunity to decide whether they’d like to stick with traditional review writing in order to further develop their skills in this area, or move on to the more challenging comparative review as an enrichment option. They will also have the opportunity to select their preferred method of delivery for this task; product options include written reviews, podcasts, videos, etc. Once the students complete the first draft of their film reviews, they will move on to the second stage of development in their editing process. Now that they have been through a full editing cycle with me at the helm, they will apply the skills learned to critiquing the work of their peers. Students will work in groups of three, and will be permitted to submit their drafts for peer feedback up to four times. They will use this feedback and support to revise their work, and to determine when it is fit for final submission. This process will enable students to self-pace during the review cycle, and will help them to make mature, informed decisions about their own levels of readiness.